This is where we'll feature a description of each episode + embed link to listen. We love how she speaks about her work: color-conscious coaching with an intersectional approach. “I help [women of color] take up space unapologetically,” says Nadia. In her conversation with Charity, Nadia speaks about challenging the status quo with radical self-care; making coaching accessible for WOC by addressing the REAL problems we encounter in the workplace (and by extension, in relationships); and being as little “or a lot” dramatic as you need to live a fully connected life. Notable Mentions: The challenges of navigating predominately white workspaces, like tech. The joy of making old things, especially creative pursuits, new again. The importance of WOC investing in their self-growth, self-development, self-healing and well being. Georgina Marie has been a poet and painter for over 15 years. In addition to serving on the Board of Directors at the Middletown Art Center, she also facilitates monthly writing circles and workshops in Lake County. And she does this all while working full-time at a nonprofit. "Art is an outlet to learn more about myself," she shares in her interview with Charity. "The little things in between help me balance." Georgina opens up about losing her sister, her dog, and having to evacuate her home due to the recent fires up north — all within a short period this summer — and shares how to keep creating (and living) despite grief, heaviness, loss. "The lesson is how to ride the waves," Georgina says. She closes out the episode by reading one of her powerful poems, A Quest for a Quest. Notable Mentions: The necessity of writing and art in all waves of life. Accessing grief through poetry — by both sharing your work and reading other writers (like Cheryl Strayed). The “unintended connections” that happen when you choose vulnerability. How to gracefully accept criticism. Charity references Elizabeth Gilbert's interview with Glennon Doyle Melton, and Georgina invites listeners to her upcoming writing workshop on Oct 15 at the Middletown Arts Center. In the first episode of this special series, Regina and Charity explore LOVE. Specifically, what are the ways you can cultivate and grow love for yourself and by extension, others? The hosts share tangible practices to reconnect with “your safest place:” your heartbeat, your home. Whether that means enjoying a concert alone or booking a solo trip down Highway 1, HerMana explores the many forms and facets of love & connection, without judgment. Notable Mentions: Grounding meditations, check-ins, mindful breathing, posture alignment, and dynamic movement. How to engage in deep listening and noticing. How to stay open. And how to romance yourself in small (and substantial) ways. References Dynamic Mobility Training in Phoenix, the book How to Love by Thich Nhat Hanh, HeartBeat Meditation by Water at Urban Wellness Center in Phoenix, and The Trance of Scarcity by Victoria Castle, MSC. In this episode of HerMana, Regina chats with AJ about what keeps her connected to her music, her art, and her listeners. AJ shares about the challenges of navigating the music industry as a young black woman and gives advice to anyone curious about committing to their art full-time. JAR Sessions is the series of cover songs AJ developed as a way to overcome the fear of her work not being well-received; now she records a few JAR Sessions per month, including one with the Arizona Animal Welfare League, where she volunteers in her spare time. Notable Mentions: Finding God (and church) in music. Exploring intimacy and community in house concerts. The connection between forgiveness and art. Setting healthy boundaries. How to ask the right questions when you're pursuing your passion/art. And the importance of branching UP, instead of out, in order to deepen your craft. Of course, you’ll get a sneak peek of AJ's music on this episode, but you can take a deeper dive into her work on Soundcloud! In this episode of HerMana, Charity speaks with Sara Bergamaschi, co-founder of SAHR, Strategic Advocacy for Human Rights, a women-run non-profit that was founded in 2008, and whose mission is to defend the world’s most vulnerable women and girls when they are wrongfully convicted in court, denied a fair trial, and blamed for the crimes committed against them. "We upend biased judicial systems, discriminatory legal practices and harmful social norms that prevent millions of survivors of gender violence from accessing and receiving justice," says Sara. SAHR's four pillars of strategic advocacy are 1) Creative lawyering 2) Gender-progressive fact-finding 3) Justice as collective healing and 4) Visual Storytelling. In Arabic, SAHR means magic. And Sara and her two co-founders, Natasha Latiff and Nishma Jethwa, are truly "fairies who bring social justice" to countries in South Asia and the Middle East. Notable Mentions: Gender equity and moral (non-competitive, intersectional) leadership. Fighting patriarchy by building bridges. Impact storytelling and, Charity's favorite, collective healing through creativity. The necessity of joy and radical self-expression, especially in this work. And the microphone's secondary use as a magic wand. Learn more about the organization at http://www.sa-hr.org/ and on their Facebook & Instagram. 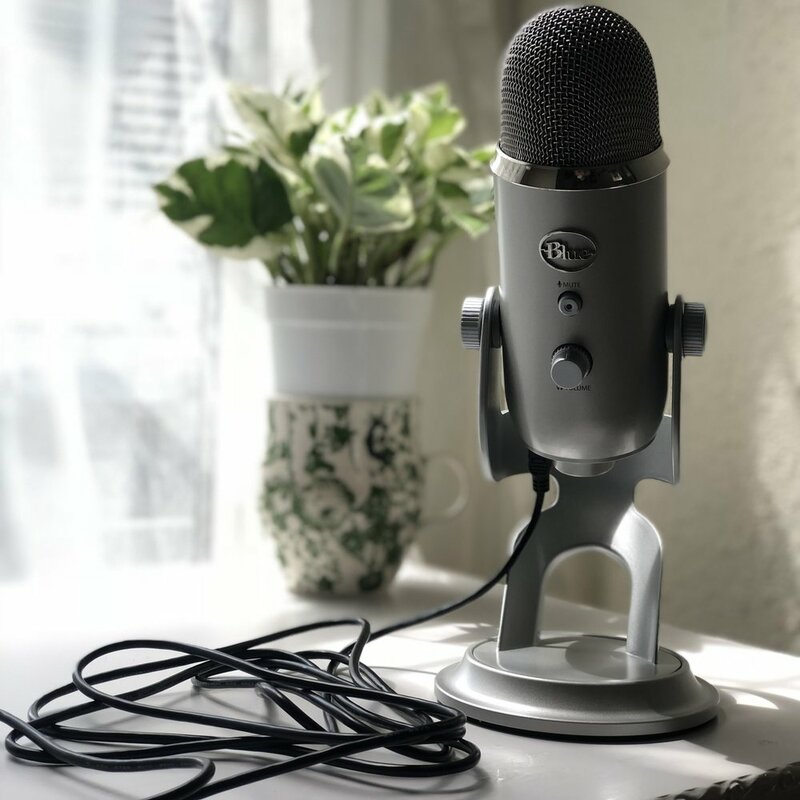 In our inaugural episode, we talk about what it means to begin: the projects we are starting (including this podcast) and tips for doing that damn thing as an artist and entrepreneur. Notable Mentions: The perils of cat mommying and toenail loss. The cathartic properties of hula hoops and purple shag rugs. Witchy writing circles and badass women portraiture.